MKT is a luxury sport utility vehicle that combines the looks, features and performance you demand. Three-row seating provides room for up to 6-7 passengers, while split-folding rear seats maximize cargo volume when you don't have a full load of backseat guests. Come see the 2016 Lincoln MKT in Dallas-Fort Worth at Grapevine Lincoln and browse trim levels, which include the MKT and MKT with EcoBoost. The base MKT comes well-appointed with heated side mirrors, 19-inch alloy wheels, Intelligent Access with push-button start, remote start, a rearview camera, tri-zone automatic temperature control, a universal garage door opener and a voice-activated SYNC with MyLincoln Touch system. Safety features are also abundant on the base model, ranging from SOS Post-Crash Alert and a front safety belt reminder to AdvanceTrac with Roll Stability Control and MyKey parental controls (for those with teen drivers). Along with features, 2016 Lincoln MKT reviews say shoppers will enjoy the base model's engine: a 3.7-liter V6 that produces 303 horsepower and 278 pound-feet of torque. The MKT with EcoBoost receives all of the same standard features as the entry-level model, but offers more options and a more powerful engine. If you purchase a 2016 Lincoln MKT in the Dallas area and choose the EcoBoost, you can opt for add-ons like the Elite and Technology packages, as well as a Class III Trailer Tow package which enables the car to tow up to 4,500 pounds. The EcoBoost model comes equipped with a turbocharged 3.5-liter V6 that produces 365 horsepower and 350 pound-feet of torque. Style is another distinct highlight of the MKT, as well. 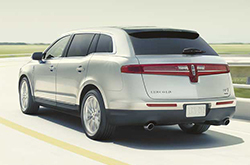 Called a crossover that "looks like no other" in The Car Connection's 2016 Lincoln MKT review, you'll find that it stands out with a one-of-a-kind design. 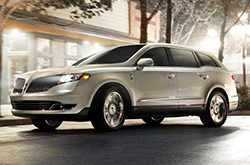 Get a glimpse of the Lincoln MKT in Grapevine and experience its features, performance and style for yourself! When you compare LINCOLN's new 2016 MKT side-by-side with the 2016 Buick Enclave, Acura MDX and the Lexus RX 350, we're sure you'll find out that the MKT is perfectly built for you. Just a few of the attributes that shoppers in TX will be thankful for are the MKT's exquisite looks and low price. You'll certainly see that when compared to the vehicles in its segment it's a fabulous value in regard to price, which is why many Grapevine LINCOLN customers choose it. Find even more info about its specs; see our quick-facts list for the MKT - bullets below. 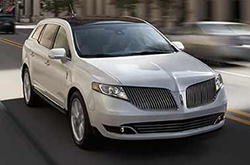 Grapevine Lincoln's expert writers have taken the time to post reviews of the LINCOLN MKT and other 2016 models to help make your next car search less time consuming. We stand out from herd by offering reviews offered to assist you in your vehicle search. Each paragraph is bundled with valuable material, including info about cabin amenities and more - everything you need to make an informed purchasing decision. Learn more about Grapevine Lincoln's attractive lineup! Review and compare LINCOLNs other vehicles in our digital research gallery now!